From the far flung reaches of International Football–and, unfortunately, the very epicenter of the ‘War on Terror’–Arsenal players return to the relative calm of English Football. Arsenal’s French contingent–and not just the ones who were in the stadium–must somehow put the events of a week ago in Paris to the side and focus on the task at hand: taking maximum points from an always stubborn West Brom side in their home stadium. Even more to the point, Arsenal must use the tightness (some might call it “stretchedness…”) of our squad to push through the after-effects. Arsenal won that match 1-nil, Santi Cazorla snaking his way to the end line before crafting an inch-perfect assist for Danny Welbeck’s imperious header. 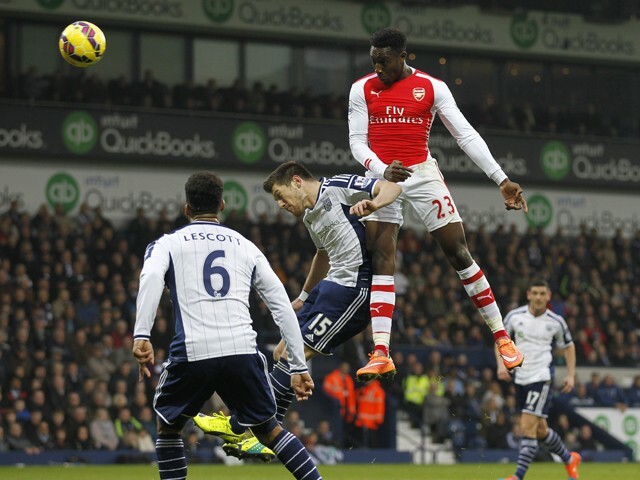 We won’t have Welbeck–and several others–for this one and any slip up will (as always) be blamed on the manager. 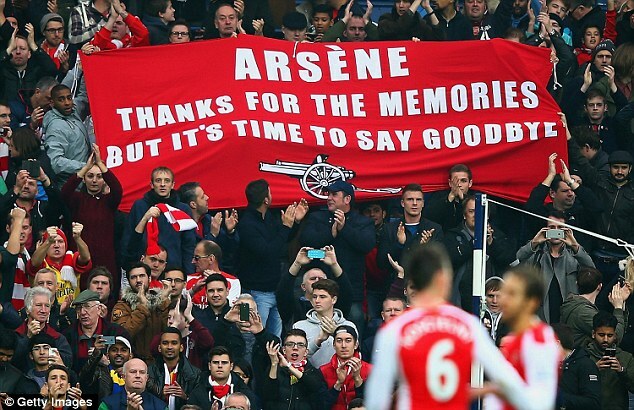 After all, it was Wenger who chose not to add out-field players in the summer transfer window. Top Bagman, manager Tony Pulis, will hope to use that pressure against us and instill the belief that his better rested group should have a real opportunity to nick some points–if not knock off–a title contender. The Baggies currently sit 12th in the still tightly compressed league table on 14 points, 6 points above the relegation places. It would seem a relatively comfortable spot, but Pulis, always one focused on the pragmatic aspects of the game, will be keen to get his charges up and running again in their season-long struggle for survival. I’d go a step further and bet that Pulis’ eyes get wider for these matches against the top clubs which come just after international breaks (and midweek forays to Europe). Certainly, his teams are never less than well drilled and fully committed to gaining an edge wherever they can. They also have the talent to hurt any team in the division. Make no mistake about it, they will set out to defend first and win the physical battles. It’s hard to know exactly how Pulis will set his team out. He may opt for pacy and technically proficient players like Saido Berahino, Stephane Sessegnon, Callum McManaman and Salomon Rondon up front or he may prefer bigger or grittier types such as Rickey Lambert, Claudio Yacob, Chris Brunt and James Morrison. No matter what, Arsenal will need to be up to the challenge and we might also hope for a bit of help from referee Mark Clattenburg. We will also need to be at our technical best to break down a stubborn West Brom rearguard which has allowed only 16 goals in their 12 league matches. Former Manchester United players, Darren Fletcher and Jonny Evans, and former Spur, Michael Dawson, anchor that group. They are still without goalkeeper Ben Foster but Boaz Myhill has been an able stand-in. 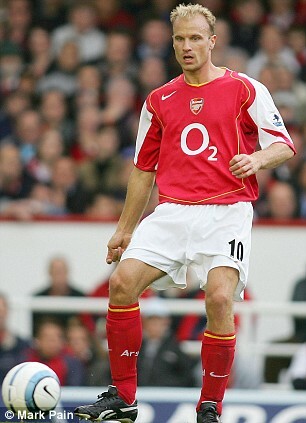 The bigger miss for this one will be Gareth McCauley who was sent off in West Brom’s last match at Manchester United. The 6’5″ McCauley (perhaps alongside Dawson or the equally sizable Jonas Olsson) would have been WBA’s best option at set pieces, an area of the game Arsenal have been improving at recently. With our own team short of attacking options we’ll once again have to rely on the big presence of Olivier Giroud up front. With McCauley out, however, this may not be such a bad thing. Before the break, picking starting 11s and bench players was a rather straightforward proposition when writing these previews. Based on Wenger’s pre-match press conference it doesn’t get much harder. While we had hoped that Aaron Ramsey, Alex Oxlade-Chamberlain and Hector Bellerin would all be ready for this one, only the latter appears available. Additionally, Wenger says he will have to talk with defensive stalwart Laurent Koscielny, who, despite a precautionary rest for our visit to Bayern Munich, played 180 emotionally draining minutes with the French team. The bigger worry for many Gooners is what to do with Alexis Sanchez, who not only had to travel to two different hemispheres (the Southern and the Western…) but had to play two full matches of up and down running vs Colombia and Uruguay with his Chilean mates in their campaign to qualify for the 2018 World Cup. On top of all that he was supposedly carrying a muscle injury. Of course, that’s just my best guess and others might have different views. My hope is that Arsenal can shake off the effects of our travels and the high emotions from the events in Paris and its aftermath. We will need to beat the Baggies with superior technique but we must also match their focus and commitment and do all the little things to win at the fine margins of the game. I’m confident we can do just that and that the group is ready to get this long run of Arsenal football (no internationals until March) off on the correct foot. But, what say you, fellow Kamp(esqu)ers? High hopes, big worries or “if we can’t beat…, we…” Please share. I love the background info and positioning of Pulis in your preview. A colleague on my last working project was a big Baggies fan and he hated Pulis. He was constantly hoping WB would lose so Pulis would get the sack as soon as possible. Under Pulis the Brommies are playing unattractive football according to him… Survival in the PL is clearly not enough for a manager, as crowds and supporters want to be entertained above all it seems..
You are probably right re the line-up and yes the number of our unavailable players give Wenger very little choice. Hoping your team loses because you don’t like the manager doesn’t sit well with me…but that’s just me… Maybe your colleague should cultivate a love for a better team (like ours)… Would he prefer they were back in the Championship?… Winning more matches, I guess, might be more fun…. He knows his football, 17HT, and club values, including style of play, go above any manager. But yes, it is always negative to want your team to lose so a manager is moved on. Your club winning should always come first. Yep, he hasn’t loaded Arsenal with a load of debt, but maybe that’s because he hasn’t got total control? Of course it’s difficult to really know what his ambitions are as he never says anything! From what I’ve read over here, all the teams he owns are serial underachievers, or am I being unfair again…? Ok, 17 that’s a very in depth preview, as usual. I pretty much go along with your line up, as said above, it kinda picks itself. TA, referring to your first comment about your colleague wishes his club to lose so that TP will get the sack is absolutely bonkers. I guess your colleague does not know the sentense club before anyone else, and that anyone includes the manager too. Allezkev, yes i have read that London traffic is bonkers. Having yet to go to London myself, Jakarta is a little similar. 4 hours of getting stuck in the traffic is common. Evening HT. Great review, lots of positive vibe, and a great effort from you and TA in particular keeping the site well stocked with thought provoking posts. I’ve struggled for time of late, and the fragmented nature of comments and the interlull have all made engaging that bit harder. Tomorrow’s game is a real test for us and our ambitions. Even to the extent that a point might not be too bad, whilst a committed win would really add to our title credentials. We have a squad that is depleted and, in part, tired, and the baggies will give us a real hard go. Can we bring our greater technical skill to overcome a fresh, strong and well organised opposition? If we can, then that shows some steel and should offer real hope to the faithful. On the 11, there are all kind of reports around possible injury and fatigue. Subject to injuries my hunch would be that Kos and Debuchy both start, with the rest of the 11 as you suggest. Kos might be rested, but I would rest him mid-week if we needed to. And bringing Bell straight back against a physical opponent after a muscle injury…. hmmm, I’d rather we gave him 25 min at the end than risk him from the off; and Deb has every reason to give his all for us at present. Like every fan I worry for Sanchez. But I don’t see us being able to start without him to be honest. But hopefully the Gibbs experiment can be brought into play relatively early on, so we don’t have to risk exhausting him. In midweek, he has to be on the bench for my money. Yes 84, the traffic currently in London is the worst I’ve seen in over 20 years. Looks a pretty good set up to me. Campbell on early-ish in the second half for Sanchez, hopefully with us in the lead by then. Cazorla to be the key player today – should be fresh and up for a bounce back from the spud game. Shame. Manure do their routine trick of playing badly and managing to sneak to 3 points. The sort of form unfortunately that is a threat, as they will gel more as the season progresses. West Brom: Myhill, Dawson, Olsson, Evans, Brunt, Yacob, Fletcher, Morrison, Sessegnon, McClean, Rondon. Subs: Chester, Gardner, Anichebe, Lambert, Berahino, McManaman, Lindegaard. Arsenal: Cech, Bellerin, Mertesacker, Koscielny, Monreal, Cazorla, Coquelin, Sanchez, Ozil, Gibbs, Giroud. Subs: Debuchy, Gabriel, Arteta, Ospina, Flamini, Campbell, Reine-Adelaide. Hi HT. I won’t be able to watch live sadly, but will keep track on radio in the background and an eye on the web. Our bench has looked better, but then we have practically a whole first 11 out, so excusable in my book. Have we enough fresh legs for the challenge? We will soon know. WBA are trying to play and the pitch looks fast… So far, we’re playing quite narrow while WBA have had a bit of pleasure down our right side… They look a huge side with Dawson as a FB. Coquelin, trying to recover after a bad pass, is down hurt…. Funnily enough I’m listening to Birmingham vs Charlton atm. Been away for a bit. Its all happening by the sound. And we are playing well, according to the stats? Ayeeee. I’m not liking this. Frenetic children at home, and something of a problem appearing on the pitch. Soft goal – is that us missing Coq, or was our CBs? Sorry, you suggested Bell. And now a goal down too. Le Coq rash tackle (after his giveaway) looms large…. Yup. Some more changes sound like they might be needed. If heads are down, Flam might be an option? Gir on a yellow with us goals down, must be a red card risk. But bench options limited. Any sense how Gibbs is playing? We’re gonna have to dig deep to get anything from this game, and we won’t have Le Coq driving us on from midfield. Here’s the thing… Arteta (and Wenger for sticking with him…) will be the focus of Gooner ire, Le Coq rash in the challenge is the MUCH bigger moment… Bells, always better going forward than defending is a secondary problem. A lot of the debate, of course, will come down to ‘youth vs veteran’ and preferences of that sort. Edgy wife v 3 boys under 6. All trying to work out a Wii, while I try to prevent them breaking the tv and everything else in the room. Flam on for Art. Blimey, what is that telling us! No better time for Campbell to get a goal. Or two…..
Grief. Sounds like he missed a sitter. It was as bad as its sounds then HT? Is that the bit of fortune we needed?…. worst place to be. Trying to get a late goal back against a Pulis side…. Can we do the pen? Pathetic. Couldn’t find any words. Dire! And very disappointing. I don’t think this means too much for our next league games, as long as we get some of our key injured folk back (and Coq is not a long absence). It was a predictably tough game, of the kind we have come up short on many times. This time we had a comedy of errors to compound matters. I’m not sure I want to even see the Campbell miss or Santi’s penalty. On to the next game and make sure we bounce back strongly, as we have shown we can. Losing Coquelin for, who knows, 4-6 weeks? Clattenburg made two huge errors today though. Arteta’s “foul” was non-existing before their first (that doesn’t excuse Arteta for poor defending after the free-kick) and there was a stone-wall penalty on Giroud in the second half by Olsson (even if Santi “No-goal-from-an-open-play-for-a-year” Cazorla would have missed it anyway). Thanks for the updates HT. Just one of those days I fear. And there will be the predictable gloom until we get our next win. Coq injury does have me worried though.